First the MDGs (Millenium Development Goals) and now the SDGs (Sustainable Development Goals)....all for a better tomorrow! In 2000, the Millennium Development Goalsset targets for the world, to reduce the proportion of poor and hungry by half and childhood mortality by two-thirds in fifteen years. Seeing the success of the MDGs, the UN and the world has decided on the Sustainable Development Goals for the next fifteen years. Copenhagen Consensus had asked the world’s top economists to highlight phenomenal, good, fair and poor targets, weighing up the social, environmental and economic benefits and costs. 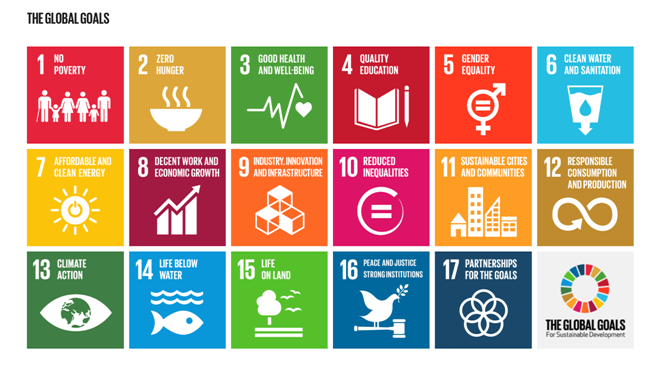 The United Nations Sustainable Development Goals were officially established in September, this year. Some of the objectives agreed upon by the 193 participating countries of the UN include eliminating poverty &hunger, promoting good health, education, gender equality, addressing climate change etc. Successfully meeting these goals requires a collaborative effort globally, and that’s where multinational companies come into play. Corporate Social Responsibility (CSR) is already a part of the Corporate culture globally. In India, the Companies Act 2013, has declared CSR activities mandatory for corporations with a net turnover of INR 1,000 crore or more, or a net profit of INR 5 crore or more. It is every corporate citizen’s duty to contribute to society and this is where an active CSR strategy sets some corporations apart from the rest. The establishment of the Companies Act has helped most corporations bring CSR processes into their DNA. The TATAs, Reliance and some of the big players were already practicing it and many others were probably forming their policies, when the Act came into being. The Act has provided an impetus to companies that were in the process and got others thinking, especially those who expect to fall in that bracket very soon. For these companies now is the time to get all their internal processes in place and introduce social responsibility towards all their stakeholders from employees to vendors to consumers. Instead of only monetary contributions, corporations are now taking on a more “hands-on” approach, using their resources to train youth in livelihood programs, employees volunteering to tutor children and some of them employing people with disabilities in their offices to name a few of the ways the corporations are engaging themselves. An important thing to note here is that it’s impossible for one company to be actively involved in all 17 sustainable development goals. Since some of the goals are industry specific, like healthcare, clean water, and sanitation, it makes sense for companies excelling in these particular sectors to focus on the CSR initiatives that tackle issues they’re equipped to handle. The need of the hour is synergy between the Global Goals set by the United Nations and also the activities mandated by the Companies Act in India. Once the companies have their processes in place and have produced a successful model of their CSR which has made a profound impact on people, their communities and their environment, they could then share this with the rest of the world to be replicated globally.